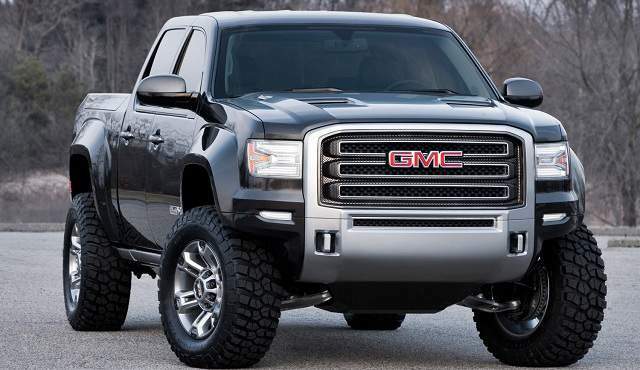 GM is among the leading contenders in pickup truck sector and its GMC and Chevrolet trucks are sold in huge numbers in the USA and other markets. The 2019 GMC Canyon Denali, made by the US origin carmaker is among the popular light-duty compact trucks you can see on the roads. Over the years, the Canyon has been revamped by GM to cope up with rising competition in the segment. The top trim, Canyon Denali has also been updated for 2019. The 2019 Canyon Denali comes with enhanced exterior styling, sleeker cabin, and new engine choices. The technologies used are also newer and buyers also get customization choices. 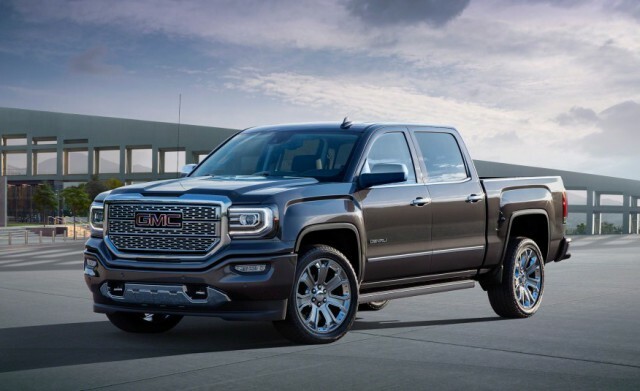 The 2019 GMC Canyon Denali is a stunning compact truck. The chrome plated cheese cutter grille looks enticing as does it’s 20″ Machined Aluminum Wheels. It also gets Projector-Style Headlamps and 5″ Chrome Assist Steps. Exterior color choices are Red quartz Tintcoat, Quicksilver metallic, Onyx Black and also a Summit white. The design is aerodynamic as well. 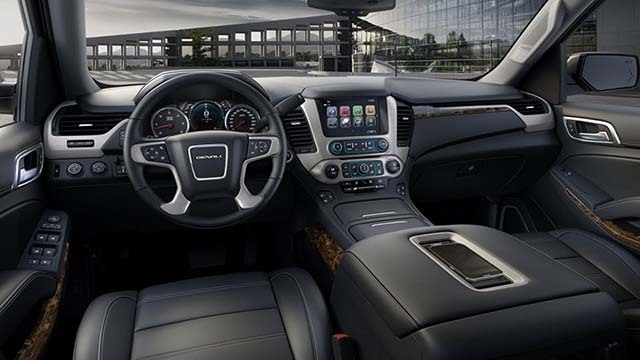 The cabin of the 2019 Canyon Denali oozes premium appeal at every corner. The Perforated Leather seats have ventilation. The leather-Wrapped Steering Wheel also has an option for heating. You will like the quietness of the cabin thanks to Triple door seals and other insulating tech used by GM. The cabin has space for 5 adults. GM has equipped the 2019 GMC Canyon Denali with solid and powerful engine choices. The 3.6L V6 Gas Engine makes an output of 308 HP and that gets paired with a new 8-speed automatic transmission gearbox. 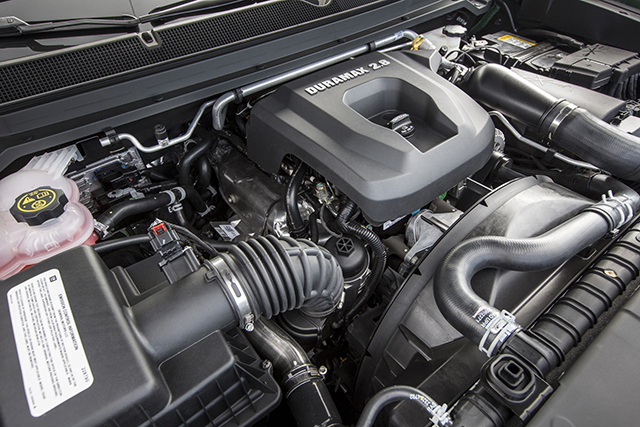 The power seekers should opt for the new Duramax 2.8L Turbo Diesel engine. Mated to a 6-speed automatic transmission unit it makes an output of 181 HP. When this engine is selected towing capacity shoots up to 7,700 lbs. Fuel economy is quite impressive for its class. In terms of safety tech and amenities, the 2019 GMC Canyon Denali scores high. You can opt for the 4G Wi-Fi Hotspot and connect 7 devices to it at the same time. The infotainment setup is enhanced and it can be controlled by the 8″ Color Touch Screen which is crisp and fast to touch inputs. Optional is a Bose audio system. There are 4 USB ports to charge all your devices on the move. Safety wise, it gets many airbags along with advanced features like forwarding Collision Alert, Lane Departure Warning, Rear Vision Camera, electronic stability control system and All-speed traction control. It also gets GM’s much-touted new Teen driver mode. Overall, there are enough features to help the driver stay alert. The expected starting price for 2019 GMC Canyon Denali is $40000. However, with customizations, it may exceed the $50000 limit. It is soon going to be unveiled for sale. The 2019 GMC Canyon Denali is a stylish and feature-laden compact pickup truck that gets moderate updates in many areas. The engine choices are solid and new tech features are worth applauds. It is priced a tad high though.